All his life, Dan Landsman (Jack Black) has never been the cool guy. That's about to change - if he can convince Oliver Lawless (Marsden), the most popular guy from his high school who's now the face of a national Banana Boat ad campaign, to show up with him to their class reunion. A man on a mission, Dan travels from Pittsburgh to LA and spins a web of lies to recruit Lawless. But he gets more than he bargains for as the unpredictable Lawless proceeds to take over his home, career, and entire life. 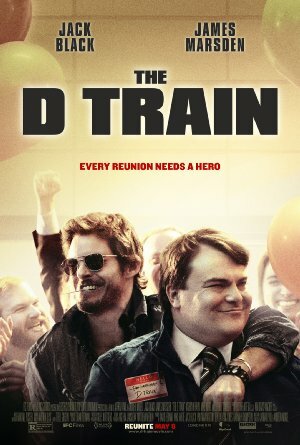 Showcasing Jack Black and James Marsden's most outrageous performances to date, THE D TRAIN serves up the question: how far would you go to be popular? Co-starring Kathryn Hahn and Jeffrey Tambor.